A sacred tree in both India and Pakistan, it has earned the reverence of the people. In Gujarati (one of the languages of India), the word “banyan” actually means “merchant” because it’s enormous canopy was used as a shelter from the sun and rain. Early on, the Hindu merchants realized it was the perfect spot to set up their tables and sell their wares. The banyan’s shelter was also used then, like it is today, as a place for gatherings, celebrations and town meetings. The global fame of the banyan hit it’s first real peak in England in the year 1634. Writers and traders had been steadily traveling from England to India for quite a few years so exotic stories of faraway lands began to circulate in the press and in books. Tales of an amazing, enormous tree… the banyan, began to surface. It was described as a tree so big, it provided enough shade and shelter that the Hindu merchants would set up and sell their goods beneath it daily. At one point, the name of “banyan” began to be used as a description for “tree” in the areas where they grew. The oldest banyan tree on Maui, and one of the largest in the world, is located in historic downtown Lahaina at the corner of Front St. and Canal St., on the harbor side of the street. 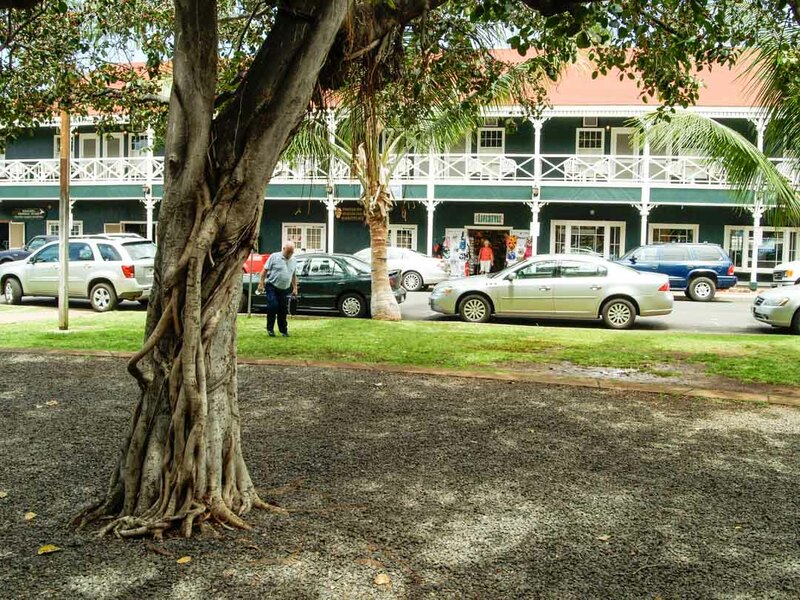 Now more than 150 years old, it was planted in 1873 by Sheriff William Owens Smith to commemorate the 50th anniversary of the founding of the Protestant Mission in Lahaina. The banyan tree (Ficus benghalensis) is a non-native species that originated from India. It’s height at the time of the planting was just 8 feet tall, but today it stands an impressive 60 feet in height and has a 225+ foot crown spread. It’s so romantic and inspiring, many people propose marriage right here under the fairy lights at night. Cheering can sometimes be heard when someone has just “popped the question”. And, events like The Annual Lighting of the Banyan Tree which is held in the beginning of December to kick off the holiday season has truly become a tradition among locals and guests alike. A whopping 6500 colored lights are strung through the banyan. 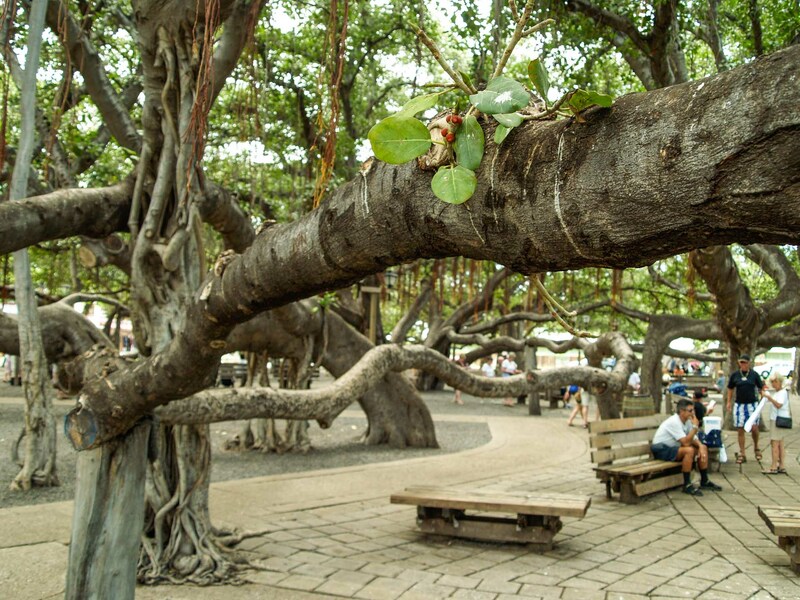 Come see for yourself, and you’ll fall in love… with Lahaina’s amazing Banyan Tree. Indian Banyan trees have an unique life cycle. They are a species of strangler fig tree. The seeds are spread by birds and they take over any trees they land on or near. The canopy gets unbelievably wide. The height is also impressive due to the aerial roots that descend from the branches and take root when they touch the ground. Over time these aerial roots become trunk-like and support the tree, allowing for impressive horizontal and vertical expansion. 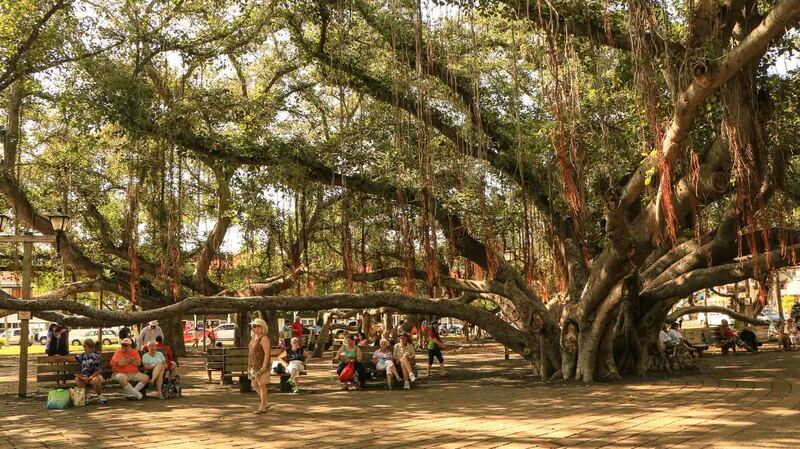 Presently, the Banyan in Lahaina has 12 aerial roots which have developed into major trunks. A fun weekend morning in Lahaina starts with hitting the Lahaina Arts Society’s Craft Fair under the Banyan Tree (Saturday and Sunday from 9am to 5pm) for a few affordable, yet fantastic finds for the holidays, a birthday gift, a “wish you were here” present, or “just because”. A schedule for the various markets and events held under the banyan can be found here. No matter the reason, you’ll probably be able to find something fantastic and uniquely stylish here. The spacious 1.94 acres seems perfectly spread out. One would think this kind of square footage would be large enough to house one of the largest banyan trees on Earth- and it is… just barely! When the crowds of admirers of Maui’s colossal banyan begin to descend on the Court Park, then it can start to feel a bit tight. It really is unbelievable that a tree can get this big. It takes up nearly an entire city block! 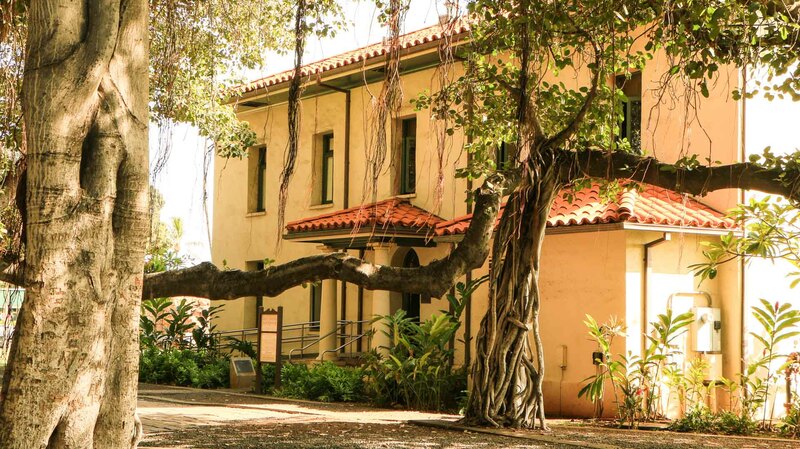 The Old Lahaina Courthouse can be found directly behind the enormous ficus. It presently, and quite fittingly, houses the Lahaina Arts Council and the Lahaina Historic Society. The Banyan Tree is getting on in years and looks almost surreal. It’s as if someone designed it and then it just grew according to the artist’s sketches… absolutely captivating! The Banyan Tree has had a long been a place for celebrating. Events big and small have been held here. A history of making merry underneath the Banyan goes back to the birthday party of Hawaii’s longest reigning monarch, King Kamehameha III in 1886 and in 1898 when the ceremony to establish Hawaii as a U.S. territory was performed. 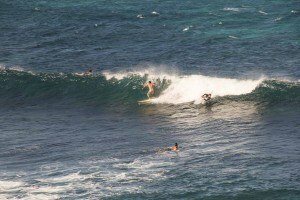 Today numerous annual events take place here and it’s still known as Lahaina’s most popular gathering spot. It doesn’t matter whether you’re simply meeting a friend, celebrating a special occasion or a big holiday, the Banyan Court Park impresses and inspires. 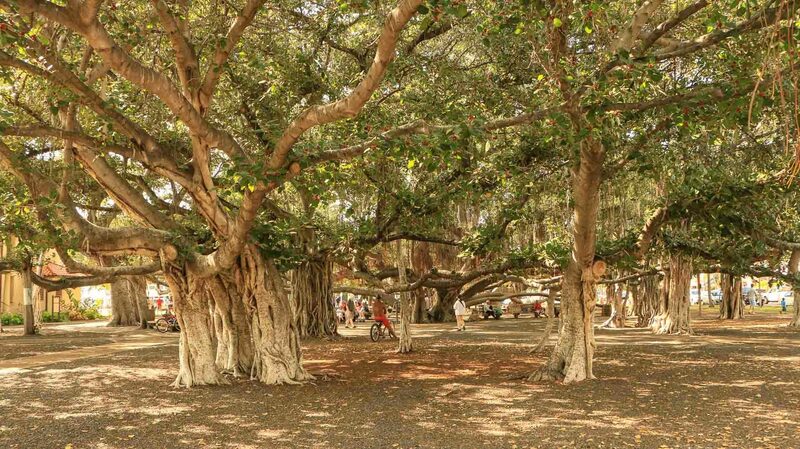 The Banyan has become a standing symbol of celebration, not just of the Protestant invasion, but of Maui’s greatness and social interconnection. It isn’t exactly common knowledge that Lahaina (and Maui as a whole) was the most powerful political and financial center of Hawaii back in the 1600’s and 1700’s. King Kamehameha officially declared Lahaina as the first capital of the Hawaiian islands in 1802. He loved Maui and preferred Lahaina over any other city. The capital city was later relocated by Kamehameha III to Honolulu in 1845 – where it has been ever since. On street parking is available, and you should go early for any events to make sure you get a good parking spot that is centrally located to where you want to be. Fair warning to anyone who decides to stay parked longer than the allotted time, or during “No Parking Between”, times listed on the sign. Meter men and maids do consistently mark and fine cars that overstay, and if there are meters, be sure to fill them to the max. Maui makes a lot of money off of people who lose track of time and forget their time was up. Given the fact that you’ll probably spend a bit more time gawking at the beauty of the Banyan than expected, plan accordingly. Parking tickets are no fun, especially on vacation! 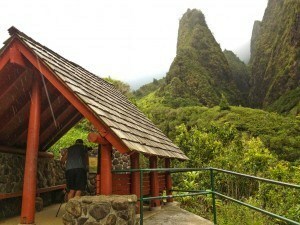 Explore this beautiful park on the edge of Wailuku. Much violent history happened here.